After hours of staring at my laptop and taking notes....I've decided I need a break!! My brain was about to explode...seriously...those numbers...business cases...it's killing me! Yes, I shall make some madeleines! Cooking always helps to release my stress! Set it at 375 degrees Fahrenheit. 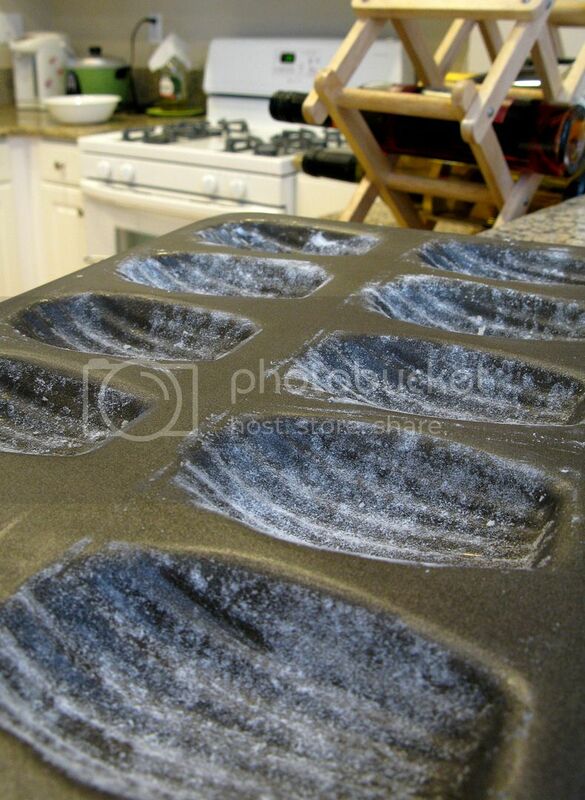 Set the mold aside till it cools down a little bit, transfer the madeleines on a cooling rack. I simply have a small pot filled with a little bit of water, bring to a boil and turn to medium heat, then I place a bowl on top of the pot, it works just like a double broiler! Add in the heavy whipping cream, mix till well blended. It was my first try and I absolutely loved it! After eating few madeleines....back to school work? Mmmmmm maybe take a nap instead. 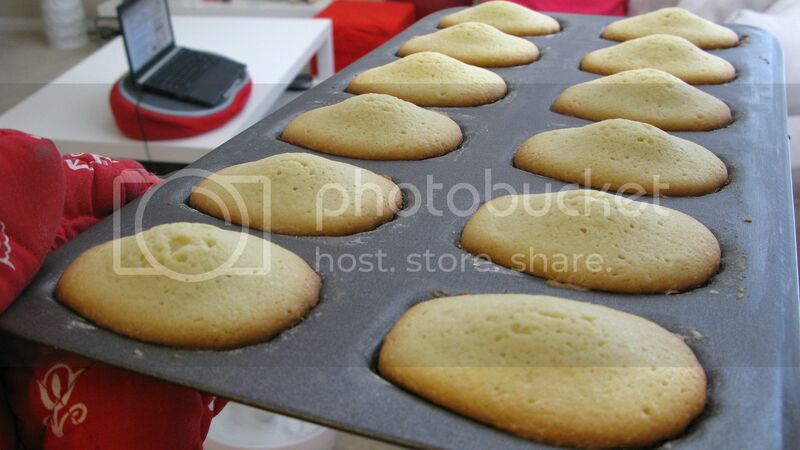 Beautiful madeleines and photos! You can now open your own bake shop ;). They look even better than some bakery madeleines! Oh thank you sooooo much! 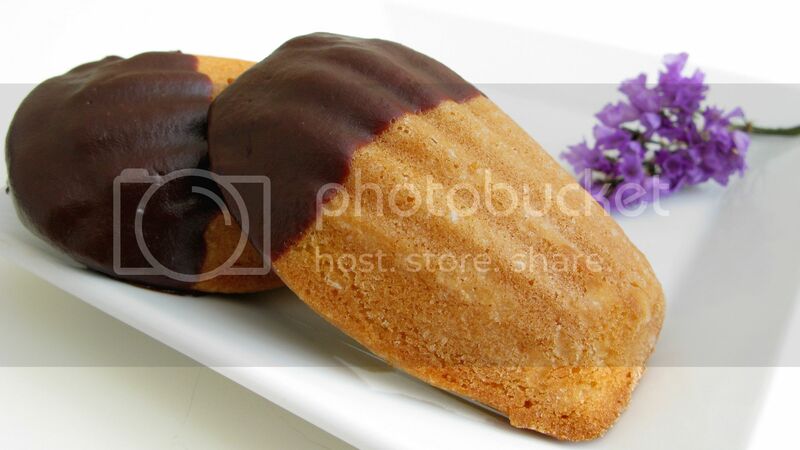 Next time I gonna try to make chocolate madeleines dipped in white chocolate, hope that one will turn out great!